One DeKalb County School District (DCSD) community partner has continued its tradition of investing in elementary school student values relating to tolerance, acceptance, and diversity. Austin Elementary is the latest DCSD elementary school to participate in Hormel Foods’ annual Martin Luther King Jr. Essay contest. Fourth-grade students throughout Austin were tasked with explaining what the humanitarian and civil rights icon means to them, with four finalists and one overall winner. 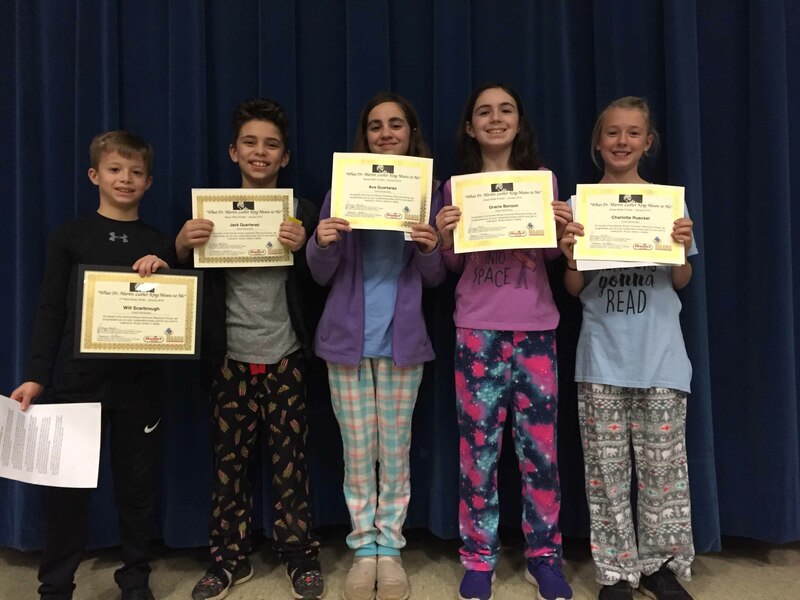 The four fourth-grade teachers at Austin each selected the best five essays from their class. Those essays were sent to Hormel Foods, which had its own panel of judges. While Austin students did not make it an easy decision, the winner and finalists were finally declared at a ceremony held January 25. Student Will Scarbrough’s essay was ultimately chosen as the best at Austin this year, with Jack Quartararo, Ava Quartararo, Gracie Benson, and Charlotte Rueckel being named finalists. As a winner, Scarbrough earned a $50 gift card, supplies for his teacher, and a pizza party for his entire class. The four finalists each won a $10 gift card. For Austin Principal Dr. Ann Culbreath, the essay contest is an extension of the school’s philosophy of loving and accepting others. Literary coordinator Celia McCoy said the essay contest coincides with Martin Luther King Jr. Day on January 21 as well as Black History Month in February. Many of the student essays focused on the importance of equality and respect among friends as well as peers. While Dr. King’s words first impacted students in the 1960’s, his message still resonates with students today and remains an important topic relating to current events, according to McCoy. According to McCoy, the contest is a great way to show students their voices are heard and have the potential to be celebrated. Austin has an emphasis on writing and communication, so the contest provided by Hormel Foods coincides with the school’s overall philosophy of celebrating student voices. In the near future, Austin will also be hosting a schoolwide poetry contest. Through the American Library of Poetry’s National Poetry Contest, young writers at the DCSD elementary school have a chance to compete statewide.